Old tile guys prolly would’a rocked back on their thinset smeared kneepads, pushed back their sweat-stained hats on their collective heads and said, boy-you are WAY over-thinking this. And I was. Mostly ’cause I’m not a thinset smeared old tile guy so I gotta think things through. And through. Tile, mostly because of it’s permanence is daunting to me. I lay it out, I re-measure and re-lay it out, I look at it from all available angles in all available lighting thinking about how long I’m gonna have to stare at it. And then I re-lay it all out again. This weekend my little brother and I poured the shower floors and then, on Sunday, Miss Carol and me laid out the kitchen counter tops. 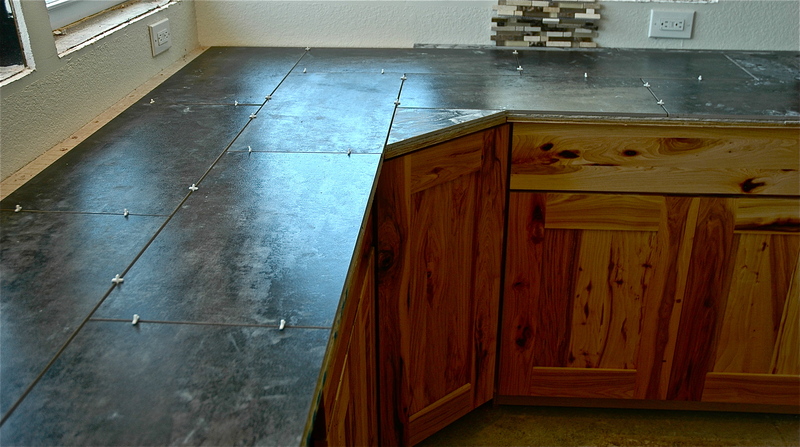 The tiles Miss Carol decided were her heart-throb must-haves are 12×24 big ‘ole homers so layout was even more crucial. As if. We did it one way. Then we did it another. Then we stared at it and tried it another way. Then we got dressed and looked at the tile. Anyway. 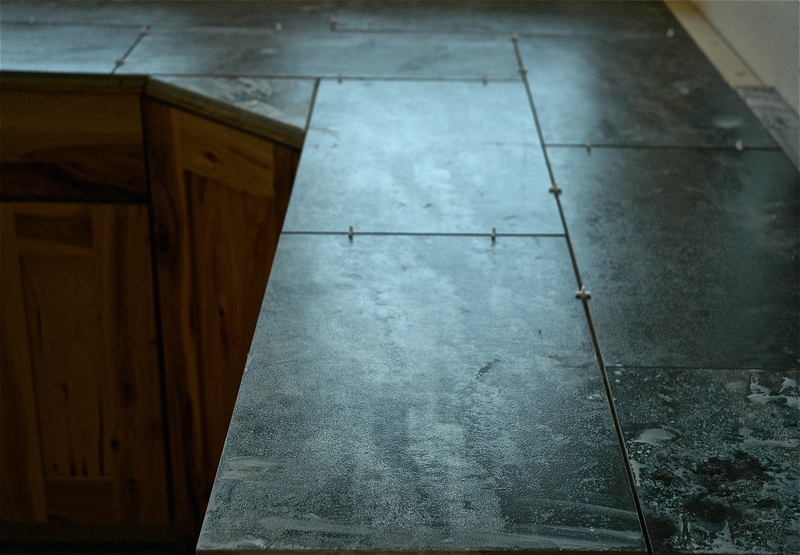 Long story short we finally got the countertop tiles laid out in a direction and combination that is both pleasing and prolly something we’ll be able to stare at for the rest of our lives.